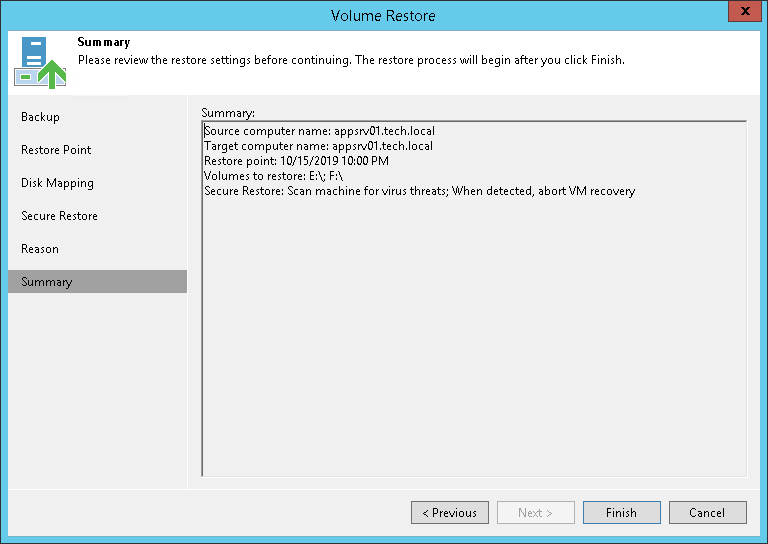 At the Summary step of the wizard, complete the procedure of volume-level restore. Review settings of the restore process. Click Finish to start the recovery process. Veeam Backup & Replication will perform partition re-allocation operations if necessary, restore the necessary volume data from the backup and overwrite volume data on the target computer with the restored data.